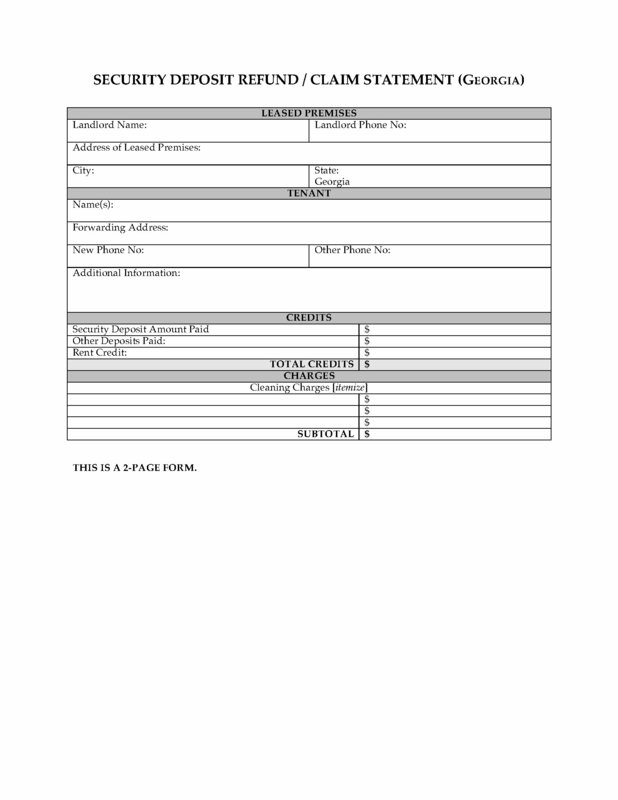 Prepare a statement of security deposit refunds and claims for a tenant at the end of their tenancy with this template form for Georgia tenancies. It also states whether a refund is being paid to the tenant or if any additional amount is still owing to the landlord. 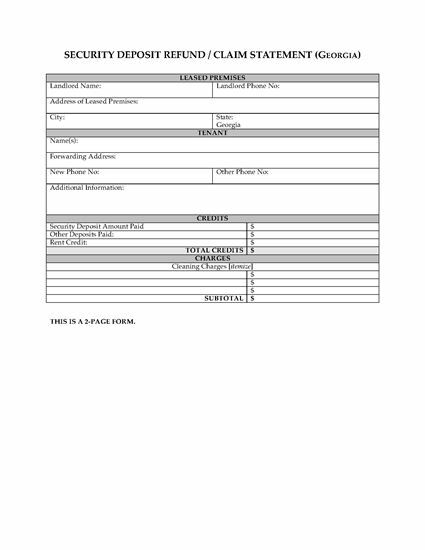 This rental property form can be reused as often as you require. Downloadable and easy to use. This Georgia Security Deposit Refund â„ Claim Statement form is available as a MS Word template which can be filled in on the computer or by hand.